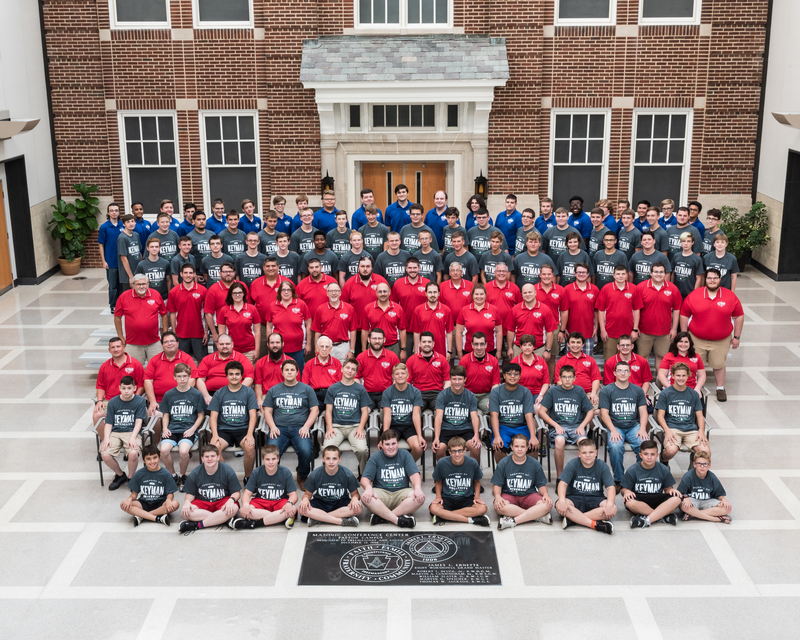 During the week of August 5th to the 11th, PA DeMolay held the annual KeyMan University at the Masonic Conference Center – Patton Campus in Elizabethtown. Members from 8 jurisdictions; Pennsylvania, New Jersey, Virginia, Maryland, Ontario, Wisconsin, Texas, and Georgia, joined for a successful mixture of fun and learning. Participants were given the opportunity to choose their area of study from 7 departments; DeMolay Education, Chapter Leadership, Brotherhood and Membership, Ritual and Performance, Events and Program Planning, Communications and Media, and Interpersonal Development. Along with the opportunities to learn and take things home to their Chapters, KeyMan participants also had the chance to have fun. Physical education time allowed members to play sports and compete against each other. The pool was open throughout a portion of the week. On Friday, the KeyMan games placed department members in various relay races for fun and friendly competition. A casino night activity brought the fun filled activities to a close on Friday night, along with a milk shake bar and karaoke. When the week was over, each DeMolay member seemed to enjoy themselves. A “One More Week” chant was even heard in the crowd during the closing ceremony, to which the staff replied with a “Let’s Go Home” chant of their own. KeyMan University continues to be the main event of the PA DeMolay summer. Thanks to all who made it possible. See you next year!